Our Mission is to help you build products your customers love. Every day, Brainmates works with clients to equip and enable them to build products that their customers love through Product Management public courses, workplace training, Product consulting, Product Management contracting, Product community events and Product career development. Adrienne is co-founder of Brainmates, a Product Leader and Chief Mischief Officer, just as well-known for her hair colour as her considerable expertise. This pocket rocket has been in Product since 2000, working alongside brands such as Lend Lease, Foxtel, eftpos, Telstra, Xero, Core Logic, Standards Australia, eBay, Disney, NITV, and Kennards. Adrienne is a Product nerd, specialising in Product Leadership, Customer Discovery, and Product Strategy. 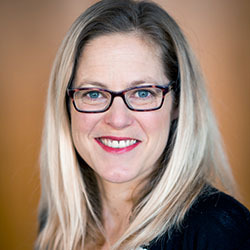 She loves to corral disperse teams, such as with a multinational construction client that had a large, fragmented team with multiple stakeholders in different states, requesting the same or similar features. Adrienne engaged the different teams to align their Digital Roadmaps and got them to agree to pull their separate budgets into a singular budget that the Digital Product team could manage. Then, she enabled the creation of a Product process to share to deliver value to customers and help each achieve their separate objectives. Adrienne loves the fast pace and diversity of Product Management. She finds it so energising and exciting that she burns off her excess energy at the gym – stand back, because this small woman can deadlift 72.5 kg! This affords her excess calories that she spends on cheese, wine, and exploring new restaurants around the world. 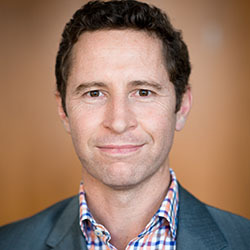 Nick is co-founder of Brainmates and Head of Training, running dozens of public courses and workplace training across Australia and beyond, every year. Known and loved by hundreds of Product people for his ability to quickly and simply explain complex problems and concepts with or without a Lord of the Rings or Dungeons and Dragons analogy. Nick has trainined and worked with people from diverse companies and industries, including Xero, MYOB, Fairfax, News Limited, NAB and Suncorp. 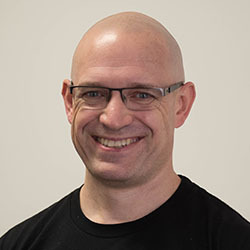 Nick has worked in Product Management in various roles, since 1997, staring his career with Telstra, Optus, Westpac and eBay, before co-founding Brainmates in 2004. His superpower is his ability to see connections between otherwise disparate or complex systems or ways of thinking; Nick loves the magical way that complex systems develop emergent properties that the individual components cannot possess alone. Nick likens this to the Product Management profession because of its unique need for an operational understanding of so many different disciplines and how they might work together. For Nick, Product Management is the engine room of innovation, where curiosity into technology, human behaviour, economics, past and future trends all comes together into one job – to create products that change people’s lives. In training, Nick loves posing hypothetical scenarios and seeing common themes emerge. These include people’s natural try to solve problems alone. This means that when companies build product, people instinctually describe the outcome, which frequently means that teams don’t have a shared understanding of the problem they’re solving, resulting in expensive misunderstandings. Nick loves to take course participants through a practical method that enables people to empathise more effectively with customers while expressing the customer challenges more clearly to business stakeholders – meaning less wasted effort and more effective outcomes for both the customer and the business. When not demonstrating to training participants how to juggle, Nick is an avid reader of both fiction and non-fiction and can also be found elbow-deep in duct tape and cardboard, constructing elaborate costumes for his son Jack. Sarah is our Brainmates General Manager, whipping us into shape and ensuring the Brainmates team is united towards common goals. Sarah was formerly Product Manager for our Leading the Product conference, and was instrumental to each event being sold out, while also supervising the Conference’s expansion into Europe and Asia. Sarah has extensive experience in financial operations, bringing an analytical, organised-and-optimised frame-of-mind to our everyday operations, without sacrificing the fun! Sarah is adept at ensuring the team has everything they need to do their best work, especially when working remotely across a variety of clients and projects. 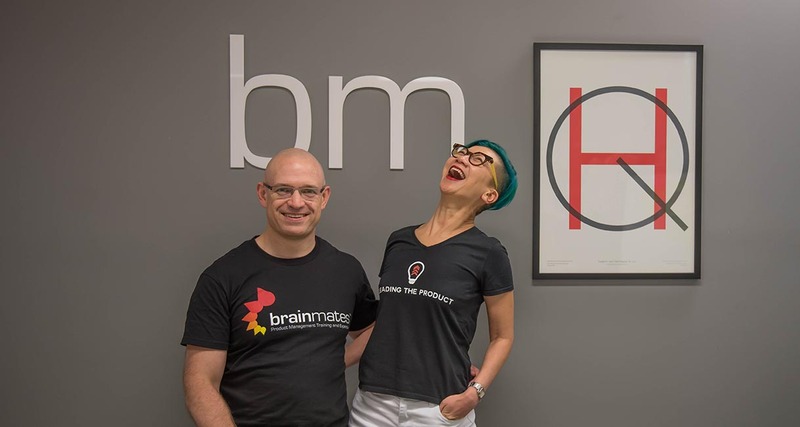 Since beginning at Brainmates in 2014, Sarah has enjoyed being surrounded by the creative, passionate, curious, adaptable, and high-energy attitudes of Product people. She’s been wooed by the supportive, close-knit community which Brainmates has helped create through events such as Leading the Product, as well as innumerable meet-ups, coffees, drinks, lunches and dinners over many years. When not revising our systems, organising our office or championing Leading the Product, Sarah loves to go skiing. As our resident Kiwi who grew up skiing with her family at Mt Ruapehu, on the North Island, Sarah still chases the excitement of barrelling down a run at high speed, enjoying the danger and beauty of perfecting a movement. Sarah is also a DIY enthusiast, taking to YouTube to figure out how to repair things, or break something apart and put it back together again. Sandeep is our resident Product consultant hero, who we nickname ‘Sandeep the Great’ or ‘Sandeep the Grey’ depending on whether or not he’s shaved. 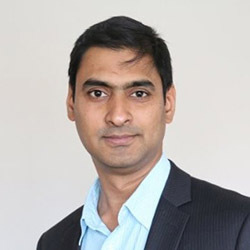 Sandeep has been in Product Management since 2003, working with some of the world’s leading brands such as eBay, Fairfax and eftpos, and from various industries such as e-commerce, media and payments. Sandeep is an expert in product vision and strategy – skills which he brought to the fore when working with a client in the payments industry that was facing significant business challenges. Technology and consumer behaviour were rapidly changing and this organisation was unable to compete and stay relevant. Sandeep helped the client to formulate a multi-pronged strategy so that they could close the gap on competitors while also creating a robust vision to regain its leadership position. But strategy was only one part of the change the organisation required. It was absolutely critical for them to move from a waterfall methodology to agile – to build products their customers genuinely needed. Brainmates, headed by Sandeep, helped them become an agile organisation, driving business outcomes with speed, surety and also progress on multiple strategic initiatives simultaneously. Formulating a robust strategy which considers all aspects of business, including key customer needs and commercial viability, keeps Sandeep happy. Sandeep is passionate about Product Management because it’s one role that truly enables you to positively influence the future of a business or a product and make them world class. When not brainstorming strategies or cultivating Product culture, Sandeep is busy coaching his nine-year-old son to become as big of a cricket tragic as he is, or traversing Australia with his family on extended road trip adventures. Lisa is our deep thinker and asker of questions. 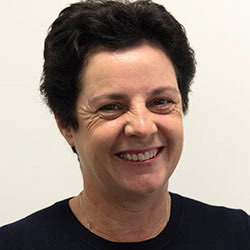 A business analyst who’s been working for Brainmates since 2009, Lisa has worked with brands such as Fairfax, the NSW Government, Cuscal, Think Education, Telstra, Austar, and Macquarie University. Lisa loves working with Product Managers to help define what they are building and how it will benefit the customer. She provides each project with a workable structure, a clear set of priorities and a common language. Lisa is driven by the goal of helping people to be more effective by bringing together all the necessary information in one spot. Her deep experience in product development means she can quickly provide Product teams with insight into gaps and risks. Being highly pragmatic, Lisa’s focus is on providing Product people with the information they need, when they need it, in order to get the job done. Andrea, Conductor of the Can-Do, is a powerhouse of productivity and the first port of call for any Brainmate wanting to know something, about anything. Her raison d’être is delivering an exceptional experience for everyone who connects with Brainmates. No two days are the same for Andrea – her skills extend to everything from catering, event set-ups and running, and developing the Brainmates Jobs board to deliver career pathways in the Product sector. Andrea used to work in Macquarie Bank trading bonds and equities, before moving into recruitment, and has also run a large Parents & Friends Association for a prestigious Sydney school. She enjoys bringing all these skills to her current role and her title, ‘Conductor of the Can-Do’, points to the fact that some jobs are hard to define! When Andrea first joined Brainmates, Adrienne told her, “Brainmates is not just a job, it’s a lifestyle”. Of course Adrienne was right (she’s the boss) and Andrea now sees product everywhere. 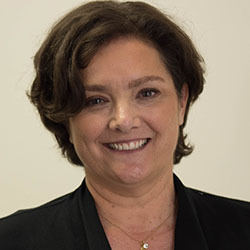 In her spare time, Andrea plays golf, travels to great places to play golf, watches golf on TV, and especially enjoys playing golf with her family. 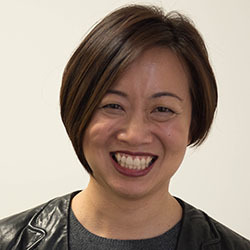 Pearly manages our Melbourne office and has been working in Product her entire career, having grown up in her family’s food manufacturing business. 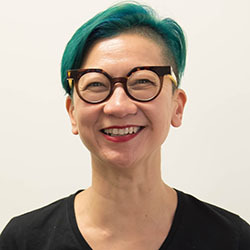 Officially, she’s had Product Management in her title since 2012, working with brands including LexisNexis, The Australian Financial Review, BRW, Australian Financial Review, Smart Investor, The Sydney Morning Herald and The Age, and has experience across B2B and B2C, global companies, ASX 200 and startups. Pearly specialises in agile product delivery in media and publishing businesses and stakeholder management. She loves to build great product teams and cultures. Working for some of Australia’s most important news brands during a time of digital disruption and transforming how the organisation thought about their audiences was an incredible opportunity for Pearly to put those skills into action. Pearly worked on major news website redesigns and developments, including the complete re-design of AFR.com onto a new technology stack. She’s seen firsthand the positive impacts of embracing digital disruption, without losing brand purpose and identity. Pearly feels strongly about the important impact that good product management can have in the world, both on a macro and micro scale. Great product experiences transform markets, increase productivity and more importantly, make people’s everyday lives better, easier, more satisfying and more meaningful. Outside of work, it’s fair to say that Pearly is obsessed with all things noodles. Having grown up in her family’s food business, this has fuelled her love of food and curiousity for finding out how business and products become successful. Pearly also love putting her creative flair to work through styling floral arranging. Marco is a Product Management Consultant and Coach who is our social butterfly. The gentle nature of this softly-spoken Italian means people gravitate towards him – a worthy talent when you’re in charge of organising our meet-ups and growing and supporting our Product community. 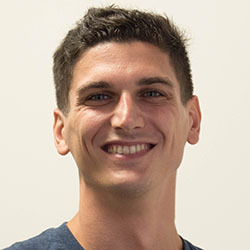 Marco joined Brainmates in late 2018 and has a background as a Technology Advisor. 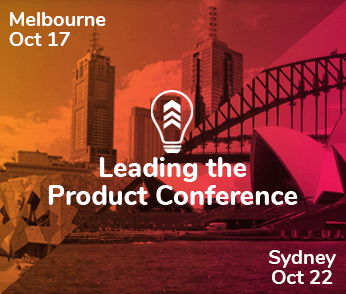 He moved into Product about two years ago as a Consultant and has worked with brands including NAB, ANZ Bank, Macquarie Group, Telstra, NSW Department of Finance, Services and Innovation, and the Australian Digital Transformation Agency. Marco is a massive advocate of technology and innovation and how this can connect people through positive impact. While relatively new to Product Management, Marco brings a strong background in technology and business. He’s keen to help revolutionise the way businesses achieve their goals by delivering consistent high value to customers through products they love. When not getting Product people together, Marco loves playing soccer, and has done since the age of five. He’s also a keen beach volleyballer and has recently taken up surfing and sailing. Before catching the Manly ferry into the city, Marco does some kind of sports every morning. Nat is our resident dreamer, who loves to wax lyrical on better ways of creating companies, culture and award-winning products. Nat has been working in Product since 1999, across various stages of the product lifecycle, including new product development and growing existing products and services. She worked at IBM and Yahoo! 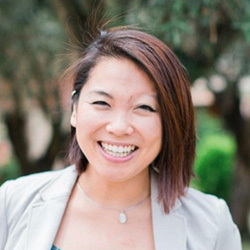 in the early days of digital, and has worked alongside numerous brands, including Cochlear, Fairfax Digital, and News Ltd. More recently she worked on the rollout of the New Payments Platform (NPP) and applies product management practices to her startup. Nat is expert at gathering customer insights and facilitating teams to generate product ideas from those customer insights. She loves helping build things that links the unmet needs of customers with design and business capability to create value, and make a positive difference in the world. When not consulting with clients, Nat loves rolling out her yoga mat or rolling on the Brazilian Jiujitsu mats. Sean has worked in Product for 18 years, across Australia and beyond. These days, his focus is more on Product Marketing than Product Management, and Sean teaches our popular Essentials of Product Marketing course. Sean loves training Product people because we’re creating more empathetic professionals that are true problem solvers so that, when done right, Product Management genuinely creates meaningful value for people. When not training PMs, Sean is at F45 – he says the training flows through his blood – either working out or helping others to achieve their goals. He also enjoys jumping into powdery snow with a snowboard every now and then.